There’s nothing better than homemade pizza! And making it yourself means it doesn’t have to be unhealthy. 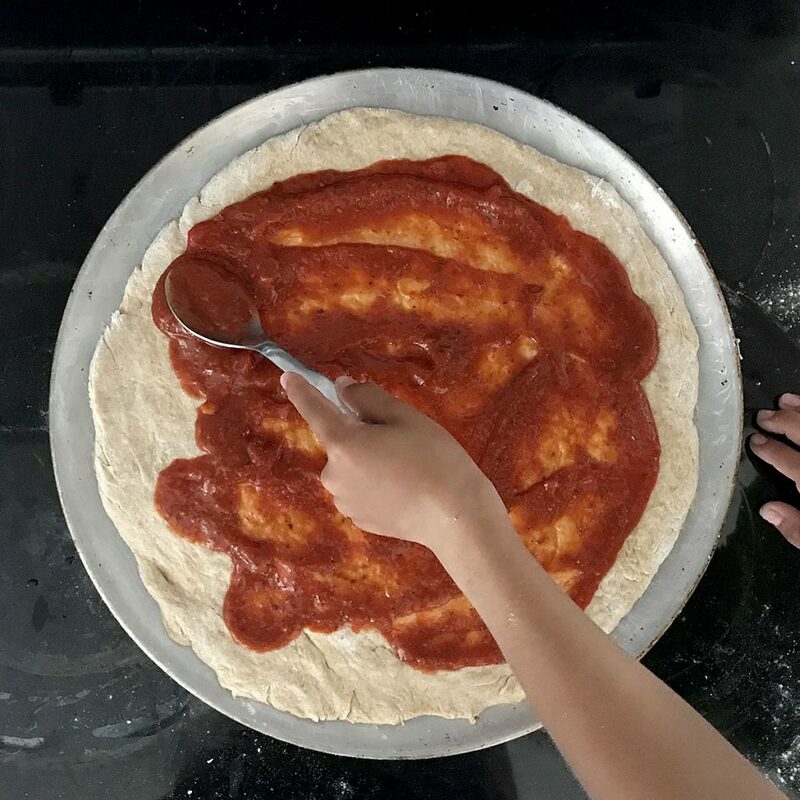 The base of any good pizza is the dough, and we’ve been making this recipe in our family for years. To make it zero waste, we purchase the dry ingredients, oil and egg in bulk and buy the yeast in a glass jar. Preheat oven on lowest setting. I like to pour 1/4 cup water in the bottom of my oven to make it humid. Once my oven reaches 100F, I turn it off. This gives the pizza dough a warm and moist place to rise. Boil 1 cup water (I boil mine in a Pyrex measuring cup in the microwave for a couple minutes). In a large, oven-safe mixing bowl, mix together flour and yeast and set aside. Add sugar, oil, salt and lightly beaten egg to boiled water and mix well. Pour liquid ngredients into mixing bowl with dry ingredients and mix with spatula for a couple minutes until dough forms a ball. Cover bowl with moistened kitchen towel and place in warm oven for 1 1/2 to 2 hours. If your house is warm enough or you plan on letting in rise longer, you can leave it covered on your counter. When the dough is ready, flatten out on floured surface, transfer to pizza pan and garnish with your favorite toppings. Bake at 400F for 20 minutes and enjoy!